There’s just something synergistic and entirely analog about vacuum tubes and vinyl. Part romance, part legend, who knows? Placebo or not, vinyl just takes on a different vibe when played through an all tube front end. And EAT’s top of the line E-Glo is a perfect example. Playing “Edith and the Kingpin” from Joni Mitchell’s Hissing of Summer Lawns takes me right back to the moment I bought this record. Though today’s trip is via the 2013 Speakers Corner remaster, not my well-worn original. As the tubes thoroughly warm up, which takes about 30 minutes, the soundstage painted by the E-Glo expands in all three dimensions, pulling you further and further into the recording. And this isn’t a particularly fantastic recording. That’s the magic of the E-Glo – you don’t need to use a megabucks cartridge or first stamper whatever to be engaged. Directly out of the box, the E-Glo manages to keep me on the couch well into the wee hours, and that’s a great sign. Where some vacuum tube electronics have a decidedly soft, warm, and well, tube-y sound, the E-Glo is like a delicate fragrance. Enticing enough to catch your attention, but not so much, with lingering beauty that always wants you to return for more. What does $6,995 get you? A lot more of everything we love about the S model. 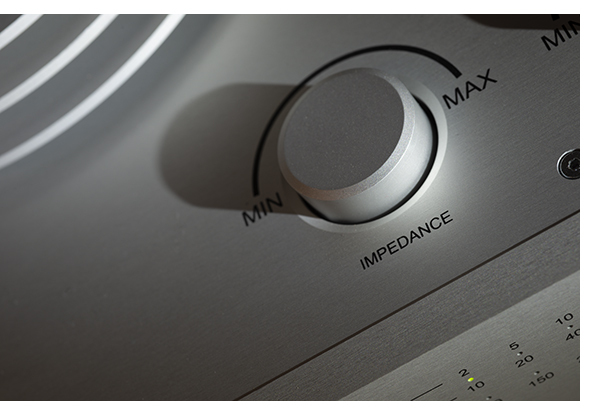 Bigger, better, deeper, more engaging sound – as it should be when you spend more money. The apparent difference is the dual box design and massive external power supply that accompanies the E-Glo. 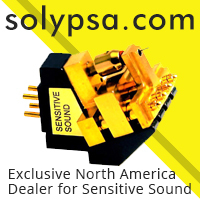 A sizeable umbilical cord connects the two, and with any two box phono stage, moving it a few feet away if possible, provides the quietest operation. Though, plugged into our recently installed PS Audio P20 Power Plant, is a thing of the past. Those not using upgraded power conditioners or cords, take note – the E-Glo is one of the quietest all tube phono stages we’ve used, even just plugged straight into the wall with supplied power cord. 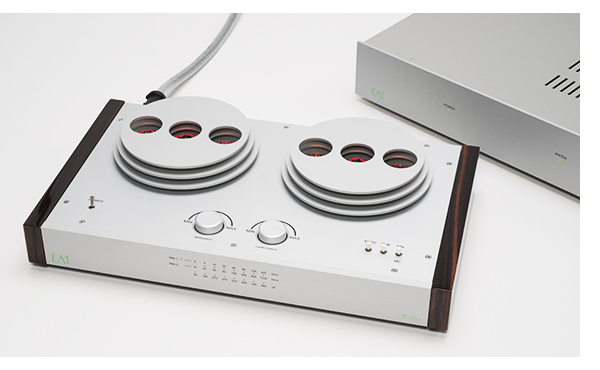 Porsche designates their “S” models as the higher performing of the line, yet Jozephina LIchtenegger bucks the trend with her phono preamplifiers, making the $2,995 E-Glo S her entry-level model and the $6,995 E-Glo, the premium model. It seems not that long ago, we were enjoying the single box E-Glo S from the European Audio Team. 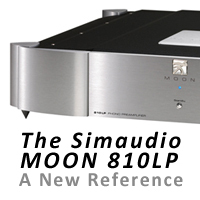 This hybrid phono stage offers a big, expansive, tonally satisfying sound, along with a post-modern design aesthetic. It’s undoubtedly one of our favorite choices in the $3k range. It also gets you two inputs, where the S model only has a single input, switchable between MM and MC. The E-Glo features MM and MC inputs, with an overall gain of 45db, with switchable, high-quality Lundahl transformers offering 70 and 76db of gain respectively. A set of DIP switches on the back determine whether you are set for 70 or 76db of MC gain, with loading set from the front. The front panel switches and LEDs make it a breeze to set loading and capacitance for MM users. The only complaint is that the E-Glo does not remember your settings, so users with two tables will always have to remember where you were. Certainly not a deal breaker. A wide range of cartridges was auditioned with the E-Glo, from the $379 Denon 103dl, all the way up to the $10,000 Koetsu Jade Platinum. All performed wonderfully, and because the E-Glo uses the transformers to augment gain on the MC side, MM users benefit from the high-quality present. 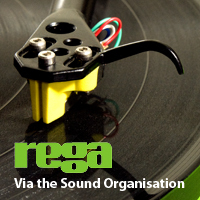 Those using a second arm or turntable with an MM cartridge will be pleasantly surprised. The primary listening setup here consisted of the recently reviewed (and acquired) Luxman PD-171D table with a Kiseki Purple Heart MC cartridge, and the Technics SL-1200G with Clearaudio Charisma V.2 MM. Though we look forward to reviewing EATs Jo no.5 cartridge, this pair provides spectacular sound. A recent exercise with a vintage Shure V15III and newly installed Jico stylus was incredibly dynamic. Using the Technics/Shure/Jico combo to track through a pile of 45 rpm maxi singles was tons of fun, combining the rock-solid bass of the SL-1200 and the explosive dynamics of the Shure, through the E-Glo. Thanks to its ultra-low noise floor, the beats in Run D.M.C.s “My Adidas” hit hard. Regardless of cartridge used, the E-Glo packs major drive, holding the musical pace intact at all times. With a full complement of 4 EAT ECC83 (12AX7 equivalent) and 2 ECC88 (6922 equivalent) tubes, there’s no need to roll tubes unless you just have to have something different. We’ve had excellent luck with the EAT tubes in other applications, and their longevity has been better than what a lot of other manufacturers offer as stock tubes. In the past, comparing EAT to a few vintage NOS tubes, they have often come across as natural/neutral, for what that’s worth. If you insist on going for an even warmer sound, you can go through the ritual, but you’re going to have to spend a ton of cash for the privilege. So, for the duration of this review, we did not roll any tubes; audio nervosa was kept at bay, and it feels good. Many of you are going to want to know what the “best” phonostage is. We rarely if ever make that call, and the object of this (and any of our other) reviews is to find you products we are excited about, tell you why to the best of our ability, and hopefully put it in a meaningful context for you to digest. If you’ve listened to a fair share of tube gear, you know that every designer works around a particular tube or family of tubes and that they all have a specific sonic signature. It’s not so much a better or a worse, it’s different, and the one you ultimately choose depends in part on your sonic taste and the cartridges at your disposal. I’ve always liked the 12AX7 sound, so I guess I’m a little biased here. Yet, leaving the taste portion on the side for now, when making a quick comparison, how well does a product at any given price point reveal the music played through it? That’s where the E-Glo performs well beyond its price tag, and if you didn’t know better, you’d think this one has a five-figure price tag. 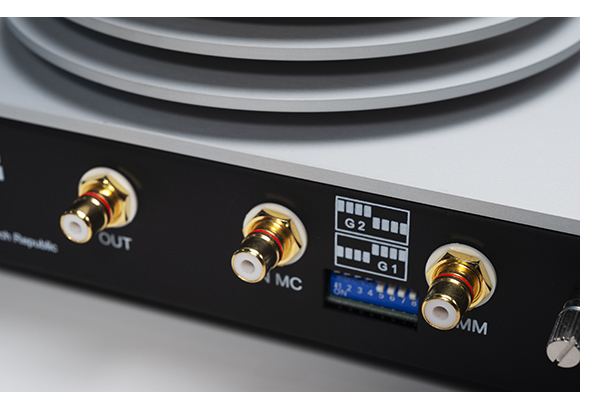 Playing side by side up against some phono stages from more established models in the $10k – $13k range, the E-Glo holds its own on all fronts. 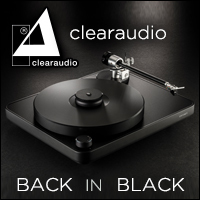 The ARC REF offers more input flexibility, balanced outputs and a remote to make adjustments, the CJ TEA-1 a slightly bigger sound, and the Pass is solid state, none of us walked away from the E-Glo feeling disappointed. There are so many audiophile clichés to describe sound, yet when you hear something that indeed takes you out of your element and for that brief period of time convinces you that you are just listening to music, real music, not constrained by tubes, woofers, and tweeters, it’s something special. Not all components, regardless of price can deliver this experience. It’s more than just “going to 11,” the E-Glo goes right to the core of the center of your brain that loves music. The highest compliment I can pay the E-Glo is that it takes me there. This is that part of the review process that can’t be backed up by measurements. The six-minute drum battle in “Bernie’s Tune,” between drum greats Buddy Rich and Gene Krupa shows off nearly every aspect of the E-Glo to perfection. It does an impeccable job of capturing the sheer speed of these two drummers, never losing the power of the bass drums, while simultaneously retaining the texture of the cymbals, still holding the rhythm section together as the fade in and out of the tune. Too often, this track just crowds together in a big ball of sound, but not here. Rather than waste your time on a lot of tracks, you might not know anyway, the major strong point of the E-Glo is that it is equally competent in all aspects of vinyl reproduction. 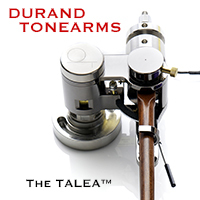 It combines low noise, major dynamics, tonal accuracy, and high resolution with real ease of use. And by keeping the casework minimalistic, yet very attractive and forgoing a remote, along with the associated control electronics required, have kept the price down from the $10k range where it easily could be. So the seven thousand dollar question is, is it for you? That will depend on your budget and associated hardware. I suggest a trip to an EAT dealer and see if you love this one as much as I do. I bought the review sample and will be using it as a permanent reference component, so you’ll be hearing a lot more about the E-Glo as time goes on. It’s a perfect fit for my system.